Late summer and early fall is the ideal time to focus on crafting home decor, framing photos, restoring family memorabilia, heirlooms, and keepsakes as well as preparing family gifts. 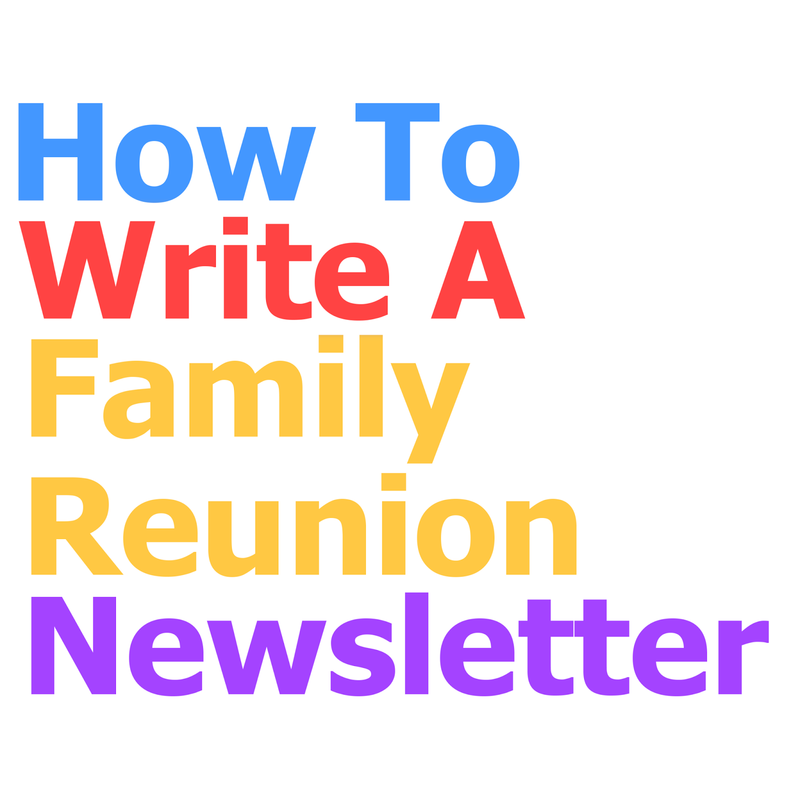 It's also the perfect time to prepare your Family Reunion Newsletter! 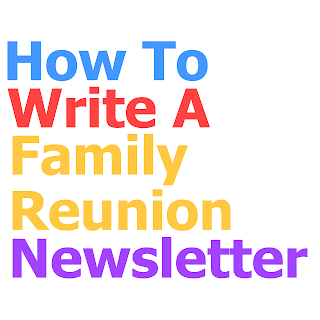 The question is 'how to write a family reunion newsletter. Let's talk about content. Thank all for a fun and enjoyable time at the last reunion event. Highlight some of the memorable moments, words of wisdom and important lessons learned. Give a shout out to family members who look out for each other during tough times. Commend those who are doing just that. Include poems, excerpts from event speeches and songs. Add photos, programs, keepsakes, attendee statements, paraphernalia and notes of personal observations, genealogy facts, and interesting family trivia. Thank all those who assisted in planning, preparation, and management. Include photos of activities, genealogy display, banquet spread, babies, elders and outdoor activities and games. Display a picture of the family quilt. Close with a word from the committee chairperson. Genealogy, trivia, family reunion newsletter, family reunion planning, family reunion committees, keepsake booklet, family reunion poems, newsletter template.